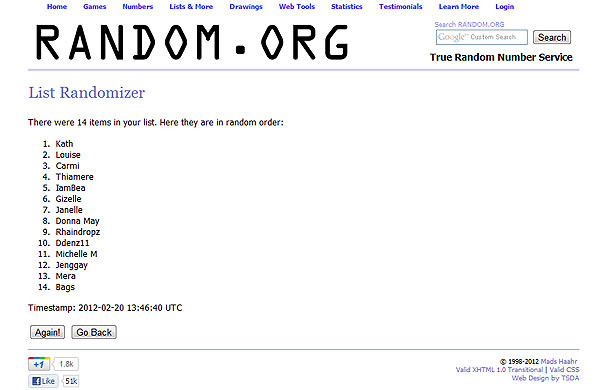 Numbers 1 and 4 in our randomized list wins! Who are they? Congratulations Kath and Thiamere! I will email you ladies shortly. For those who still want to bag a Neutrogena Fine Fairness BB Cream, we still have 4 more weeks of guessing game! That's 8 more lucky winners so keep on, well, guessing! ay sayang pang 9 ako hihi.. kath and thiamere congrats!! !